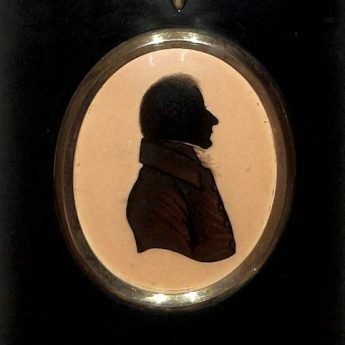 Although these silhouettes are presented as a pair and are both reverse painted on convex glass and housed in matching papier-mâché frames that are equal in size, they differ stylistically and so pose a bit of a conundrum! 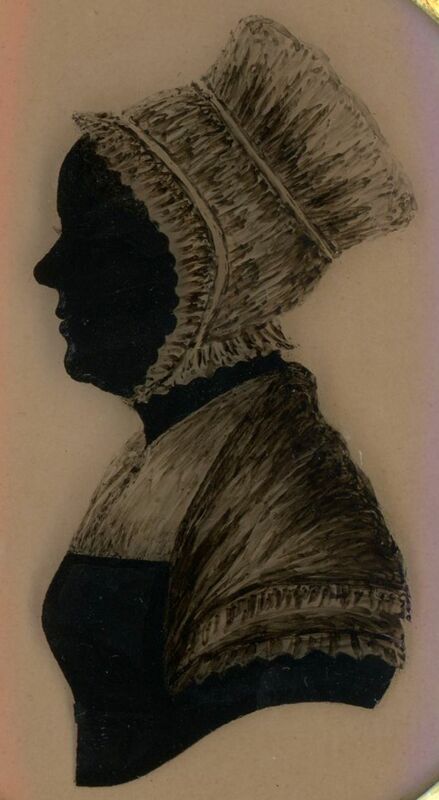 The profile of Mrs Greenwood has been painted using black pigment for the face and dress with thinned pigment used to render her cap, shawl and tippet. 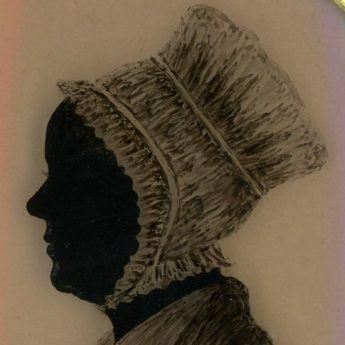 A small application of gum arabic has been used to show hair peeping out from under her cap and there is a hint of scratching out under the chin where her cap is fastened. 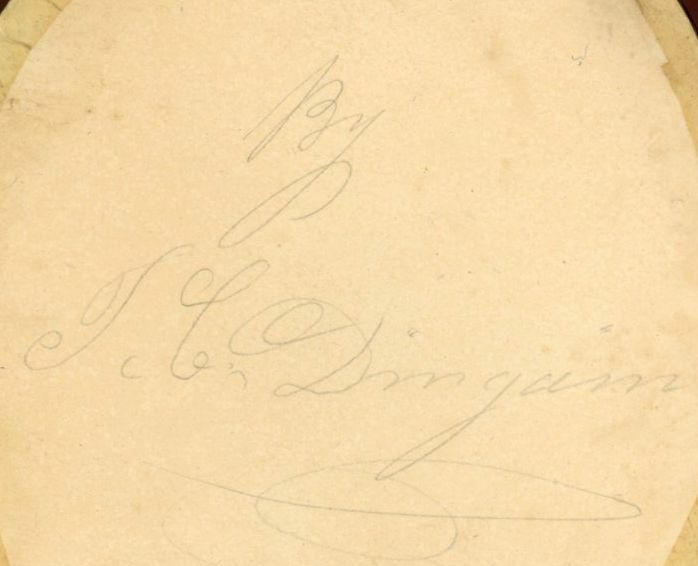 The profile is backed with card, the reverse of which is signed in pencil “By T. C. Dingam” who has hitherto not been recorded as a silhouettist. 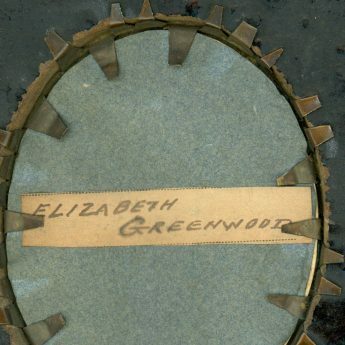 The companion profile is unlabelled but is presumed to be of Mr Greenwood. 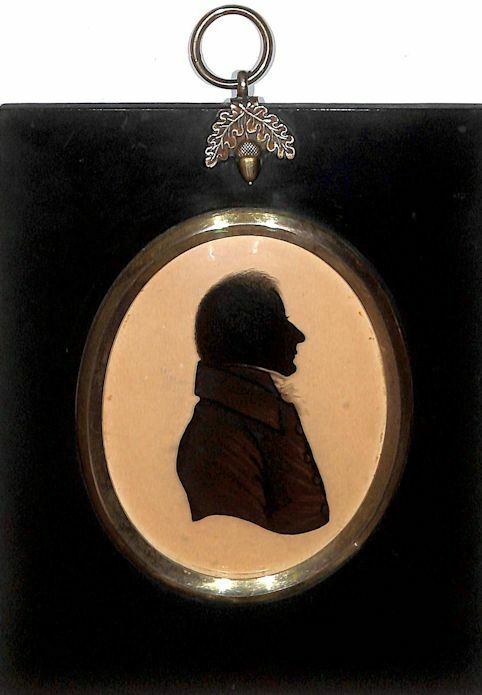 Again reverse painted on convex glass, the artist has used black pigment for the face and a deep shade of brown for the coat. 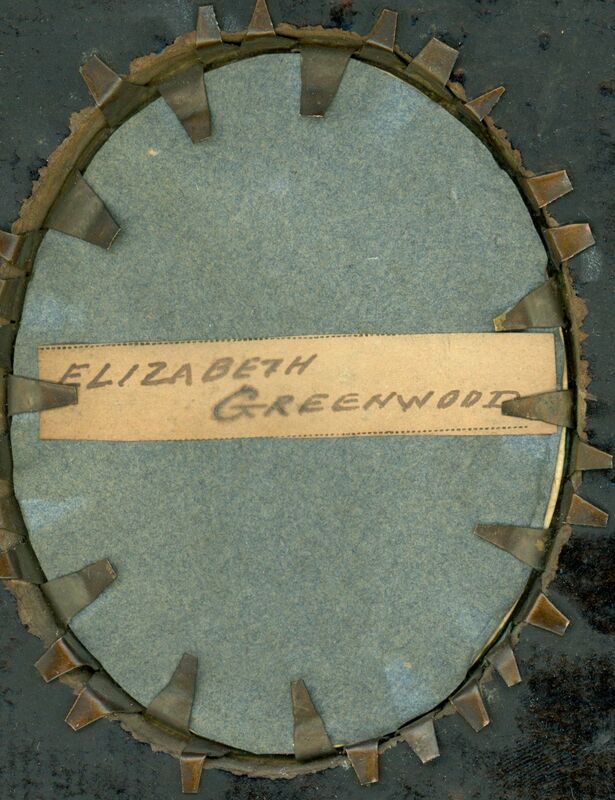 The coat is outlined in black as is the collar, the sleeve and the buttons with gum arabic also present on the coat. 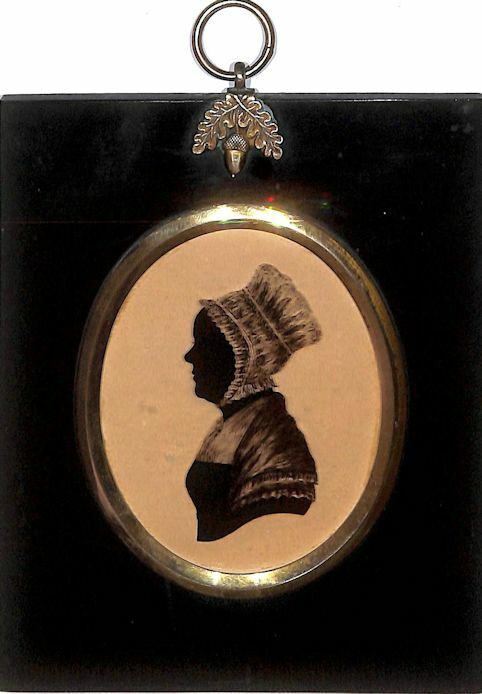 Transparency using thinned pigment at the neck shows the sitter’s cravat and high collar. 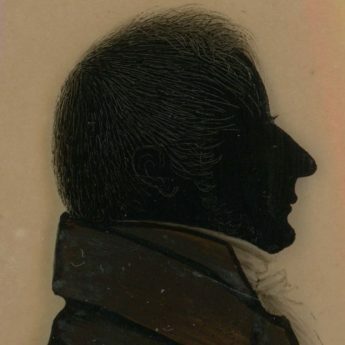 The detail of his hair, whiskers and ear have all been scratched out using a needle. 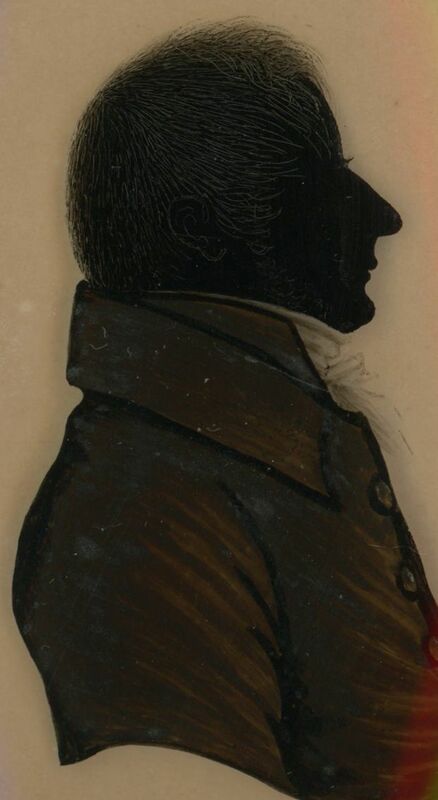 The profile of Mr Greenwood is unsigned and so may well have been painted by another hand. 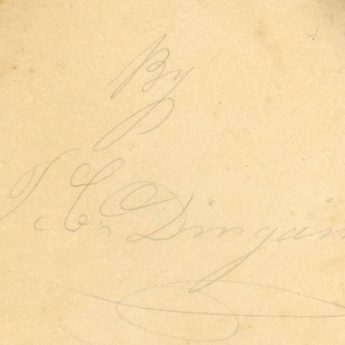 Despite this, the two profiles display well together as a pair so divorce is not on the cards!